I’ve been on this earth a half a century. I’ve experienced a lot of history first hand, and studied history even further, and in all of my time I have never experienced anything or anyone like Sarah Palin. 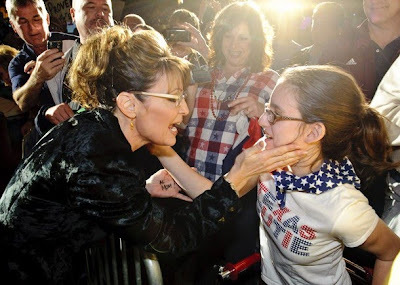 To say that Sarah Palin is a dynamic figure is a gross understatement. Sarah is a woman who commands attention, and commands respect. Oh yeah, she has her detractors, everyone does, but they are only making themselves more and more irrelevant with each passing day. These Palin deniers might try and tell themselves that Sarah Palin doesn’t matter, but that simply doesn’t make it so! The radical left and the media (yes, yes..I know, same thing) have tried to set up a narrative that Sarah doesn’t matter, that she is irrelevant. And yet, they follow her every word. It has become quite comical to watch the Palin deniers twist themselves into knots every time she says or does something. Take this past weekend. Sarah Palin was everywhere. On a weekend that featured not only the Super Bowl but the kick off to the NASCAR season, Sarah was the big story, the one getting all of the attention. Let’s take a look at her itinerary starting on Friday. As we reported, Sarah made a stop in Salina, Kansas to speak to the local Chamber of Commerce. This was reportedly the largest ever such gathering for a Chamber meeting. Wait a minute, hold the phone! That sure didn’t sound like some airhead speaking, did it? I guess the Palin deniers didn’t bother to listen to this speech. I know they certainly don’t want you to listen! What I heard was an experienced Chief Executive talking about success, and how to duplicate it. Now I know that Sarah doesn’t have slick marketing slogans or tired generalizations like “hope and change,” but I think we can “settle” for some real solid ideas, and knowledge, can’t we? From Salina, Sarah went on to Nashville where she headlined the first annual National Tea Party Convention. 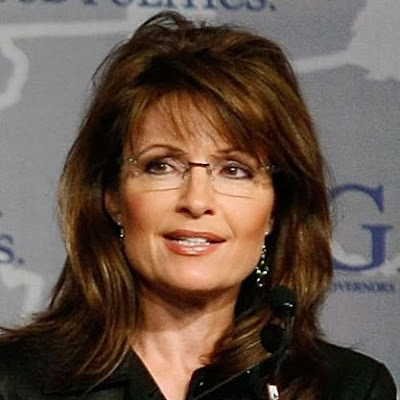 To say that Sarah Palin knocked it out of the park with her rousing speech would be like saying that Shakespear fellow “wrote some good plays!” Sarah was remarkable. Strong, confident, and on target. While Sarah spoke on her signature issues: fiscal responsibility, and energy independence, but she spent the largest portion of her speech talking about national security. Something President Obama, a total failure in this arena, avoided like the plague in his State of the Union Speech. The left tries to portray her as someone with no knowledge of foreign affairs. They don’t dare tell people that it was Sarah’s strong answers on foreign policy and national defense that led John McCain to choose her of 24 other candidates as his running mate! Sarah, was introduced to the large crowd by media mogul Andrew Breitbart. She received multiple standing ovations and continuous loud applause from the audience. Her speech which totally eclipsed the President’s State of the Union speech, was followed by a question and answer session. After the speech, the corrupt, Obamacentric media didn’t know what to do or say. They simply couldn’t refute her speech, or her facts. They absolutely couldn’t deny her strong support from those in attendance. Now generally, the left tries to tell everyone that Sarah is dumb, or that her speeches “ramble” and are “dis-jointed and incoherent” but America has come to realize the left is just projecting, and if anything, they are describing their leader, Barack Obama, who can’t give a coherent, substantial speech to save his life. In fact, as Obama’s popularity has slipped, his speeches have become more and more erratic and incoherent. What we witnessed in Nashville was a powerful woman who knows exactly what she is trying to do, and is doing it well. It was incredibly fitting that Sarah gave this speech on the 99th birthday of one of our greatest Presidents, Ronald Reagan.. Sarah was nothing short of Reaganesque in her delivery. She was solid, and engaging. Sarah laid out her vison for America, an America that is prosperous, safe, and free. So, unable to refute Sarah, unable to compete in the marketplace of ideas, the media, which is basically a propaganda arm for Obama, Inc., went on to become a full parody of itself. In what looked more like a Saturday Night Live skit poking fun of the media, the press, decided that they would focus on the fact that Sarah had some words written on her hand! This reached high levels of absurdity very quickly, with slow motion replays and all. Frankly, it was simply delicious. It proved beyond a shadow of a doubt that the left is done. They literally have nothing left. They have been defeated soundly by this housewife and mother from Wasilla, Alaska! To me, this may have been Sarah’s best interview. Part of the credit goes to Chris Wallace. The guy asks the tough questions. No one could accuse this of being a “soft ball” interview. Poised and confident, this is the kind of interview that makes Sarah shine. 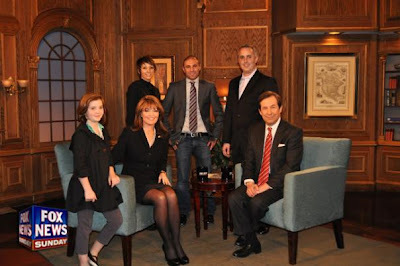 This interview was the most watched in FNS history, and beat out all of the other Sunday shows in ratings. Sarah answered a number of questions that are on the people’s minds, and gave a pretty solid answer about the question of will she or won’t she, regarding 2012. Of course, there was no time for Sarah to relax and take it all in. Sunday afternoon Sarah was in the Great State of Texas to rally supporters for Governor Rick Perry. It was a large vocal crowd that met her there. Sarah is incredibly popular here in Texas. She represents the strong, independent spirit of the Lone Star State very well. With that in mind, Governor Perry bestowed on her one of the greatest honors a person can achieve, and named Sarah an honorary Texan! Solid, red meat stuff from Sarah Palin! As we wrote yesterday, this is why we know Sarah will be our next President. This woman is fearless, and unlike most pols, absolutely doesn’t give a damn what the media thinks of her! Last June Sarah was talking about the fact that her opposition wanted her to just sit down and shut up. Her response was “Politically, if I die, I die, but I won’t sit down, and I won’t shut up!” This has turned into a battle cry for all patriots, as Sarah has inspired millions to not “sit down and shut up” and to get out there and let their voices be heard, to make a real difference! If Sarah Palin never does anything else in her life, she will have had a positive influence on America by just inspiring so many to answer the call to action, and to stand up and hold our corrupt government accountable. Sarah has been one of those who have sparked a real revolution in this country, a revolution that is seeing those corrupt government officials fall, one by one, and real patriots take their places. This was an incredible weekend for Sarah Palin. Sarah established herself solidly as the true leader in America. There is absolutely no doubt now, that if she chooses that path, the presidency in 2012 is hers. There is simply no other leader in America that has the ability and the courage to bring America back from the brink of disaster. Rich Galen’s Mullings column over the weekend reinforces something that has been true since the day Sarah Palin burst onto the national scene. If you remember, during the 2008 campaign, once Sarah was introduced to the world, the Obama campaign rarely ran against, or mentioned John McCain. They were always running against Sarah Palin. Sarah Palin was considered, for their purposes, Obama’s equal. * Here’s how you know, if you are the President of the United States, that things are going in the wrong direction. * Meanwhile Sarah Palin’s keynote speech to the Tea Party meeting in Nashville, Tennessee, is covered like your State of the Union Address had been two weeks earlier, leading the chattering class to compare your appearance with that of Gov. Palin. * Here’s a basic rule of political counter-punching: You want your lowest ranking person in a public fight with your opponent’s highest ranking person – preferably your opponent. * For example, if you are managing the campaign for the guy running against an incumbent for Congress, you want to have the kid who does the morning clips in a public argument with the Congressman. * That diminishes the Congressman and enhances the clips kid. * Over weekend the losing candidate for Vice President was, for all intents and purposes, treated as the political equal of the President of the United States. *This, if you are in the political shop at the White House, is not good. Now as far as we are concerned, Sarah Palin is far superior to Barack Obama in any and every category, but in the context, Sarah Palin is indeed the equal of the President of the United States. Sarah commands the same amount of attention as the President, and her words are just as powerful as those that come from the Office of the President. As we witnessed throughout the summer and fall of 2009 and still witness today, just a few words written by Sarah on Facebook have the power to change history. While she didn’t do it alone, Sarah’s tough talk on both ObamaCare and cap and tax helped scuttle both disastrous initiatives. Sarah commands our attention and respect because she is working hard. Sarah is working hard to take the commonsense conservative message to everyone in the country. With that in mind, Monday morning, Sarah was still in Houston and appeared as a motivational speaker at a business conference headlined by some of our nation’s strongest leaders that included herself, Rudy Giuliani, Lou Holtz, Zig Ziegler, Colin Powell, and Microsoft President Rick Belluzzo. Once that was over, Sarah was on her way to Redding, California where she had two sold out appearances at the Sierra Cascade Loggers Conference. You can read more here. Sarah Palin received a rock star’s welcome at the Sierra Cascade Logging Conference where she spoke before the first of two sold-out shows at the Redding Convention Center this fternoon. That’s 4,000 people who paid between $54 for a balcony seat to $74 for a floor seat. I had a floor seat – second row, so near the tower of speakers that I followed the example of people around me and wadded tissue in my right ear to reduce the volume. Even so, I heard every word and felt the crowd’s jostling adoration as they cheered and applauded throughout Palin’s speech. She endeared herself to the logging conference crowd by holding her hand up to show what was written on her palm: “Loggers rock!” – an apparent dig at “lame-stream media” who recently ridiculed her for writing memory prompts on her hand. And toward the end of her talk she complimented logging industry folks when she referred to an administration that talks about green jobs. Some fans rushed the stage waving copies of Palin’s newly released book, “Going Rogue,” a few of which Palin stooped from the stage to sign as her daughter Piper watched on. And then Palin was gone, off to prepare for the next showing at 7 p.m.